A recent September 2014 vote by the Court of Justice of the European Union (CJEU) ruled that libraries can scan and digitize books and make them available at electronic reading without first gaining consent of the copyright holder. This vote comes as result of the case in which the Technical University of Darmstadt digitized a book published by German publishing house Eugen Ulmer that refused to license the publisher’s electronic textbooks. Pursuant to the Copyright Directive, Authors have the exclusive right to authorise or to prohibit the reproduction and the communication to the public of their works. However, the directive allows Member States to provide for specific exceptions or limitations to that right. This option exists notably for publically accessible libraries which, for the purpose of research or private study, make works from their collections available to users by dedicated terminals. In the present case, the Bundesgerichtshof (Federal Court of Justice of Germany) is asking the Court of Justice to clarify the scope of this option, of which Germany has made use. The Bundesgerichtshof is required to rule on a dispute between the Technical University of Darmstadt (Technische Universität Darmstadt) and a German publishing house, Eugen Ulmer KG. The university library digitised a book published by Eugen Ulmer before making it available on its electronic reading posts. It refused the offer of the publishing house to purchase and use as electronic books (‘e-books’) the textbooks Eugen Ulmer publishes (the book in question among them). Eugen Ulmer is seeking to prevent the university from digitising the book in question and users of the library from being able, via the electronic reading points, to print out the book or store it on a USB stick and/or take those reproductions out of the library. In its judgment delivered today, the Court holds, first of all, that, even if the right holder offers to a library the possibility of concluding licencing agreements for the use of his works on appropriate terms, the library may avail itself of the exception provided for in favour of dedicated terminals; otherwise, the library could not realise its core mission or promote the public interest in promoting research and private study. Next, the Court finds that the directive does not prevent Member States from granting libraries the right to digitise the books from their collections, if it becomes necessary, for the purpose of research or private study, to make those works available to individuals by dedicated terminals. The right of libraries to communicate, by dedicated terminals, the works they hold in their collections would risk being rendered largely meaningless, or indeed ineffective, if they did not have an ancillary right to digitise the works in question. USB stick from dedicated terminals. The printing out of a work on paper and its storage on a USB sticks are acts of reproduction, in so far as they aim to create a new copy of the digital copy made available to individuals. Such acts of reproduction are not necessary for communicating the work to users by means of dedicated terminals and are therefore not covered by the right of communication by means of dedicated terminals, particularly since they are made by individuals and not by the library itself. The Court nevertheless adds that Member States may, within the limits and conditions set by the directive, provide for an exception or limitation to the exclusive right of reproduction of right holders and thus permit the users of a library to print the works out on paper or store them on a USB stick from dedicated terminals. For that, it is necessary in particular that fair compensation be paid to the right holders. The CJEU’s ruling followed the advice given to the court in a formal opinion in June by Advocate General Niilo Jääskinen. In a statement he say that libraries should be allowed to digitize books without consent, but copying an electronic book to a USB stick or printing it should be illegal. The case will now go back to the Federal Court of Justice of Germany that had asked the CJEU to clarify the scope of the copyright directive. 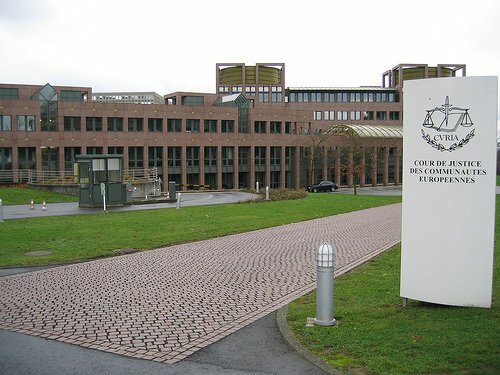 The CJEU does not decide the dispute itself. It is for the national court or tribunal to dispose of the case in accordance with the CJEU’s decision, which is binding on other national courts or tribunals before which a similar issue is raised. If this decision follows, other libraries in the EU, might find this ruling beneficial to present their users the access to eBooks.